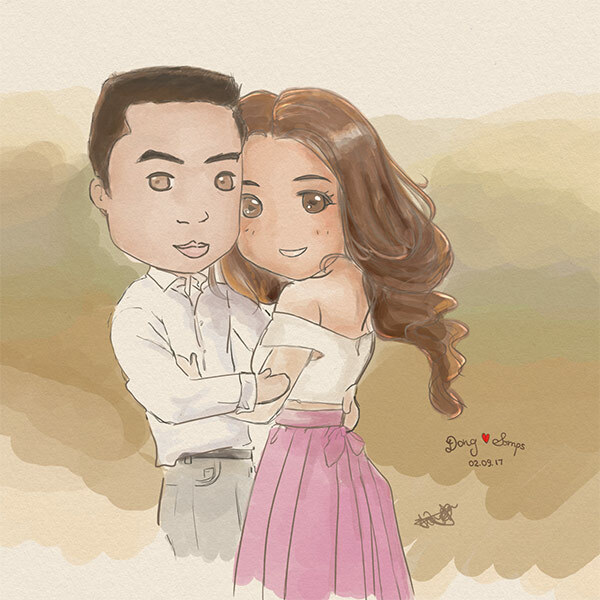 Today I spent most of the day working on a new painting as a gift for Somps & Dong’s upcoming wedding :)! I wanted this to look soft, as though it’s been done with pencil & water-colour. I’ve always liked the look of water colour art, but since I’m not too confident with traditional methods, I decided to do it digitally. Wow!! Looks just like them!! So impressed!! Love the watercolour effect too!